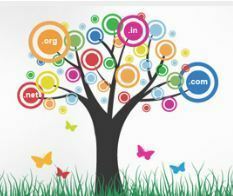 Domain Portfolio Management & Internet Name Branding: Any new company to establish its Internet Identity need to register a domain name and even established companies registers domain to maintain & secure their brand identity. So Domain Name Registration has far more importance than any other internet related services. One can say it has become a basic necessity for a company to register a domain even before co. gets incorporated or planning to launch any new brand in market. So ensure that our clients establishes there correct Business Identity on Internet and have secured Internet Branding we offer services related for registration of a new domain, Managing complete domain portfolio of over 250+ TLD’s, Securing Internet Branding, etc. Over 250+ TLD’s world wide. "Centum – from your problems to our solutions , need we say more “ Our mission statement puts it straight from our heart our service commitment to your business needs . We confidently are solution providers to your corporate requirements. In today’s world information is not a just a medium for communication but also the foundation for a successful business empire. Our role in your business would be of an end-to-end IT solution provider with forte in providing Total Internet based Solutions. We can revolutionize your business, gain from snail mail to sonic mail based technology. We suit your requirements into our technology to give you an edge over your competitors. The solutions we provide are unique to your company based on logical derived information flow systems.